Agumbe is a small village located in Shimoga district, Thirthahalli taluk in the Malnad region of Karnataka, India. It is sometimes called "The Cherrapunji of the South" after Cherrapunji, in Northeast India. Agumbe is associated with rainforest conservation efforts, documentation of medicinal plants, tourism (trekking and photography), and the promotion of cottage industry. Agumbe lies in the West coastal region of South India(Shimoga District), approximately 98 km north-east of Mangalore and 357 km north-west of Bangalore, the state capital of Karnataka in South India. It is approximately 24 km from Shringeri and 55 km from the Arabian Sea and the coast of India at Udupi town which hosts the nearest big railway station. 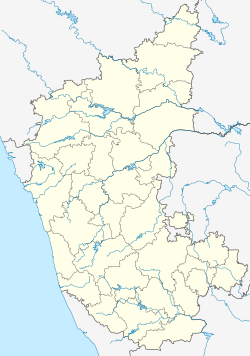 The nearest airport to Agumbe is at Mangalore which lies at a distance of approximately 94 km. The elevation of Agumbe is 643m. As part of the Western Ghats mountain range, Agumbe lies in a UNESCO World Heritage Site. Agumbe is near the Someshwara Wildlife Sanctuary and the Kudremukh National Park. Agumbe is a small hill village with very limited visitor accommodation. The population is approximately 500 people. The village covers an area of 3 square kilometres (1.2 sq mi). The villagers of Agumbe are subsistence farmers. Rice and areca are grown. The Raksha Kavacha Weavers’ Cooperative Society represents the beginnings of cottage industry in the village. Sunset View Point rests on one of the highest peaks of the Western Ghats on the Udupi-Agumbe Road. It is ten minutes walk from Agumbe. On a fine evening, the sunset can be seen over the Arabian Sea. Agumbe lies in a hilly, wet region of the Western Ghat mountains. This geography contributes to its scenery, and suitability for trekking.In addition, there are a number of waterfalls in the locality. Barkana Falls (Latitude 13.449315, Longitude 75.136015), Northeast of Agumbe, is 850 ft (259 m) in height. It is the tenth highest falls in India. The viewing point for the Barkana Falls is about 4 km from the end of the approaching vehicle track. Onake Abbi Falls (latitude 13°30'44"N, longitude 75°4'25"E) at 400 feet, is smaller than Barkana Falls. In the Kannada language, "onake" means 'pounding stick', an instrument used by villagers to pound grains to flour. Trekking for 5 km through rainforest is needed in order to reach a view of the falls. Jogigundi is a small water fall near Agumbe.This is about 800m deep. It is usually filled with water. Koodlu Theerthra waterfall is located 20 km from Agumbe. Agumbe hosts India's first automatic weather station, founded by Romulus Whitaker b. 1943, New York, NY. Agumbe lies in a rainforest region with a tropical climate, warm and humid. Under the Köppen system of climate classification Agumbe is an 'Am' climate, that is, a tropical monsoon climate. A dense silvery fog forms over the Western Ghats at Agumbe. The driest month in Agumbe is February with an average rainfall of 1 mm. The wettest month is July with an average rainfall of 2,647 mm. The mean annual rainfall is 7,620 millimetres (300 in). The highest recorded rainfall in a single month was 4,508 millimetres (177.5 in) in August 1946. The table below is comparison of rainfalls for between Agumbe in Thirthahalli taluk in Shimoga district, Hulikal in Hosanagara taluk in Shimoga district, Amagaon in Khanapur Taluk in Belgaum district and Talacauvery in Madikeri taluk in Kodagu district, Kokalli of Sirsi Taluk ,Nilkund of Siddapur Taluk, CastleRock of Supa(Joida) Taluk in Uttara Kannada District to show which one can be called the "Cherrapunji of South India". Maximum temperatures in Agumbe vary between 24.4 and 31.5 degrees Celsius. Minimum temperatures vary between 16.2 and 21.4 degrees Celsius. Average temperatures vary between 22.2 degrees Celsius and 23.6 degrees Celsius with an annual average temperature of 23.5 degrees Celsius. April is the hottest month of the year and December the coolest. The average annual variation in temperature is 4.1 degrees Celsius. The lowest recorded temperature was 3.2 degrees Celsius in 1975 and the highest, 37 degrees Celsius in 2008-9. The Agumbe Rainforest Research Station (ARRS) was founded in 2005 by Romulus Whitaker, a herpetologist. (Whitaker had been familiar with Agumbe since the 1970s when he began studying the King Cobra. Its purpose is to create a local biodiversity database, encourage individual scientific research, collaborate with India's Department of Forestry and conserve the rainforest of the Western Ghats as well as to educate the residents of the region in the importance of forestry conservation. The King Cobra, an endangered species is the station's "flagship species". The station occupies an area of 8 acres (32,000 m2). Funding for the station came from Whitaker's mother, Doris Norden and from the Whitley Award received by Whitaker in 2005. The Agumbe Medicinal Plants Conservation Area (MPCA) was established in 1999 to protect the important medicinal plants of the region. The "Foundation for Revitalisation of Local Health Traditions" (FRLHT) recorded 371 plant species in the MPCA at Agumbe, of which 182 were medicinal. Agumbe provides an environment for large and small mammals such as the endangered lion-tailed macaque, tiger, leopard, sambar, giant squirrel, dhole, a wild dog of India, gaur, the Indian bison and barking deer. In creating funds for conservation of the Agumbe rainforest, the Ophiophagus hannah, king cobra is a 'flagship' species. An Agumbe-based scientific project to radio-locate rescued king cobras aims to determine whether relocation is helpful to their survival. other reptiles and amphibians of the area include the cane turtle and a flying lizard. Agumbe is a popular destination for bird watchers and photographers. Among the endemic birds are the Malabar trogon, the yellow-browed bulbul and Sri Lankan frogmouths. Agumbe's many insect species include the Atlas moth, Cyclotoma alleni (a beetle discovered in Agumbe), Selenops agumbensis, a spider and Drosophila agumbensis a small fly species. Cremnoconchus agumbensis is a local small fresh water snail. The Agumbe Venugopalakrishna Hindu temple is an old structure known for beautiful architecture and peacefulness. The temple deity is Sri Venugopala Krishna. An annual fair is conducted each year in February in honour of the deity. Another local temple is the Sringeri Sharadamba temple. Malgudi Days (1985) is a television serial directed by Shankar Nag. It was based on novels written by R. K. Narayan. Many episodes were filmed in Agumbe. In 2004, a new set of episodes of Malgudi Days was filmed at Agumbe by Kavitha Lankesh (director). Wikivoyage has a travel guide for Agumbe. Wikimedia Commons has media related to Agumbe. ^ a b "Agumbe Rainforest Research Station". Archived from the original on 7 February 2014. Retrieved 21 January 2014. ^ "Agumbe awash in monsoon magic"  The Hindu. Karnataka, India. 29 July 2005. In English. Accessed 24 October 2013. ^ "Decisions adopted by the world heritage committee at its 35th session". UNESCO. 7 July 2011. In English and French. Accessed 24 October 2013. ^ "Sunset point, Agumbe"  Holidayiq.com Accessed 25 October 2013. ^ a b Sampalli, Jagadeesh. "The changing face of Agumbe". IBNlive.In.com (CNN). 23 January 2012. In English. Accessed 24 October 2013. ^ "India Meteorological Department, Meteorological Center, Bengaluru". India Meteorological Department. Retrieved 19 January 2013. ^ Opili, P. "Whitaker gets top U.K. conservation prize"  The Hindu (Tamil Nadu News) 28 April 2005. In English. Accessed 24 October 2013. ^ Ved D. K. and Goraya G. S. "Demand and supply of medicinal plants in India" Dehra Dun : Bishen Singh Mahendra Pal Singh (publishers), 2008. ^ "10 per cent of native plant species in Western Ghats on endangered list." The Hindu. 11 November 2011. In English. Accessed 25 October 2013. ^ "Notothylas dissecta, A Hornwort new to India" The Bryologist, Vol. 82, No. 4, Winter, 1979. Jstor.org Accessed 25 October 2013. ^ "Malgudi Days are back". Online Edition of The Deccan Herald, dated 11 April 2004. 2004, The Printers (Mysore) Private Ltd. Archived from the original on 26 September 2007. Retrieved 16 May 2007.